Now, you can just walk right in for a great haircut. Barber Jerry is your "walk-In" guy. He is a REAL barber school trained barber just like Barber Joe. He does it all. Straight hair. Ethnic hair. Tapers. Fades. Show him a picture of what you like and he'll knock it out of the park. Straight-razor shaves, too! Jerry has 25 years of barbering experience. No kidding! He is the youngest of 12 children. At age 10, his father gave him his first barbering tools and told him, "Your now the family barber...figure it out." You don't need an appointment with Barber Jerry. Just walk in, put your name on the walk in list and get ready for one of the best haircuts of your life! 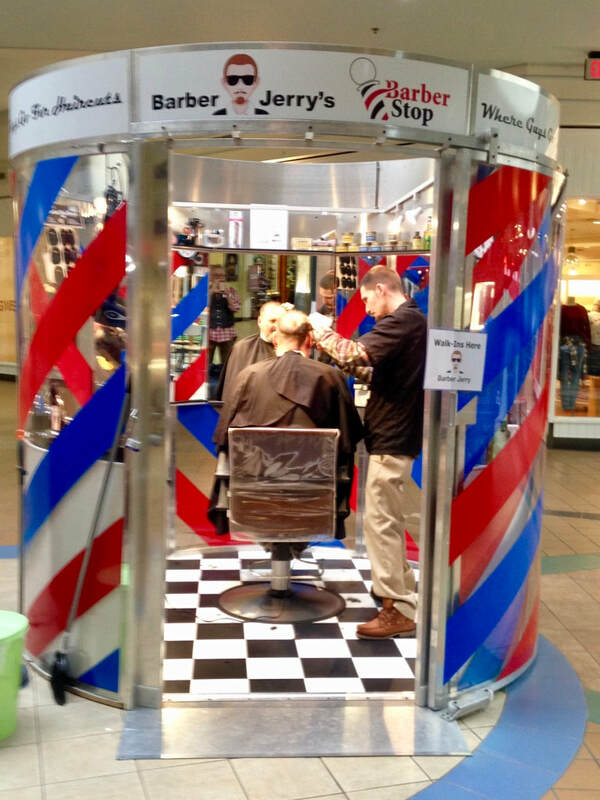 Barber Jerry is located right next to Barber Joe inside Valley View Mall on US Hwy 16, La Crosse, WI 54601. Enter the mall through the Food Court door or the Hu Hot door. Both doors are just steps away from Barber Jerry and Barber Joe. Door open at 6:00 AM. Barber Jerry starts his day at 10:00 AM and cuts hair until 7:00 PM, Tuesday through Saturday. You can reach Barber Jerry by calling (920) 304-6206. His Email address is Jerry@BarberStop.com.